Despite being less than 10 years old and in only our third season in the League of Ireland Rovers took our first league title in 1936/37 and did so in spectacular fashion. Despite finishing a lowly 10th in the Shield before the league campaign began Rovers hit the ground running once the league season started under trainer and captain Jimmy Surgeoner who had joined the club mid-way through the previous season from Ballymena. Rovers would win the first 11 games of the season to establish a large 12 point lead at the summit of the table before eventually succumbing 8-2 away to Waterford. That defeat would begin a run of just three wins from the next eight games but the league was won with a game to spare with a 4-3 win in Cork. The hero of that day was an ex-Cork player Jack Symonds who was moved to centre-forward to replace injured centre-forward Harry Litherland and he justified that selection by scoring a hat-trick. The winning goal of the game was scored by local man Billy Harrigan which took the league title out of Leinster for the first time. The final winning margin was 10 points over second-placed Dundalk which is still one of the largest in the league’s history. Rovers also recorded a 9-0 victory over Dublin club Dolphin in the Showgroundswhich remains the club’s largest ever win. One of the main contributors to the title win was English centre forwardLitherland who had previously played for Everton. He scored a total of 29 goals that season with 19 of those coming in the league a total not beaten until Eoin Doyle scored 20 in 2011. Rovers added to the success by also capturing the City Cup with a 2-0 victory over Dundalk in the final. Rovers 40-year wait for a second league title was eventually brought to an end by Scottish manager Billy Sinclair in only his second full season in charge. Players like Paul Fielding, Gary Hulmes and Michael Betts were added to the squad before the season to start to add to the players he had brought in the previous year. These added to established locals such as Tony Fagan and Paul McGee and long servants like Tony Stenson. A good start was made with Rovers making the League Cup final before the league campaign got underway and although Shamrock Rovers would win that final the sides would go on to have a more significant meeting later in the year. The season began with an opening day win over defending champions Dundalk in the Showgrounds 4-2 to start a run of four wins from the first five games. Rovers went top in December after the 11th game with a 3-1 win against Drogheda which followed back-to-back 5-0 wins over Home Farm and Athlone respectively. Rovers remained at the top of the table for the whole season from then on and went into the final day knowing that a win over Shamrock Rovers would be enough to win the title. The game, played on Easter Sunday in the Showgrounds, saw Rovers take an early lead through GaryHulmes 13th goal of the season. However Shamrock would level the game in the second half though not for long with Chris Rutherford restoring the lead heading in from a corner played in by McGee. The win and the league title were secured towards the end of the game with a goal from talented local winger Paul ‘Ski’ McGee netting to make it 3-1. Mass celebrations were had on the pitch following the full-time whistle as captain Graham Fox lifted the trophy aloft. Sligo Rovers suffered much heartbreak in the FAI Cup throughout its history getting to six finals, two of which needed replays, but never managing to capture the trophy. Having won two league titles the most recent of which was six years previous the FAI Cup was the prize most Rovers fans and players coveted. The journey began with a trip to Dublin to play Home Farm and Rovers were victorious with a 1-0 win thanks to a penalty from Andy Elliott. Next up would be Shamrock Rovers in the Showgrounds the side who had defeated Rovers in a controversial final just five years before. In front of a big crowd it was Rovers who were the winners this time with locals Harry McLoughlin and Tony Fagan on target to secure the win. The semi-final draw looked like it would hand Rovers a comfortable passage through to a second final in three years as non-league Cobh Ramblers were the opposition. However this wasn’t to be the case as Cobh took the lead in Flower Lodge with Rovers needing a late equaliser from the head of Mick Graham to force a replay back home the following Wednesday. It looked as though Rovers had got the better of their opponents with Mick Graham opening the scoring followed up by Harry McLoughlin to make it 2-0. But Cobh fought back this time and got the two goals needed to bring Rovers back to County Cork for a second replay. This game didn’t produce any goals and it was looking like the teams would be impossible to separate in a tie that captured the imaginations of both towns. The third replay would be in theShowgrounds on Sunday April 17. It looked as though Cobh had finally managed to pull off the shock as they raced into a two goal lead but this epic encounter had yet more drama to provide. Inspirational centre-back Chris Rutherford scored with two headers to force the game into extra-time and that was where the tie was eventually decided with Gus Gilligan getting the goal to mean Rovers would be in the final at the expense of the desperately unlucky Cobh. That meant that Rovers had just one week to prepare for the final which would be against Bohemians at their home groundDalymount Park the following Sunday. The game didn’t start well for Rovers with Chris Rutherford having to leave the game early with an injury forcing player-manager Paul Fielding to come into the action while Tony Stenson at one stage looked as though he might not be able to continue due to injury. It got worse for Rovers before half-time with a header from Barry Murphy giving Bohs a deserved lead at the break. However Rovers demonstrated tremendous spirit to fight back and were level just 13 minutes into the second period as Martin McDonnell’s free-kick was smashed home by TonyStenson. Rovers continued to drive forward from there and with Martin McDonnell again providing the pass on a muddy surface to find winger Harry McLoughlin. From there he produced one of the most famous moments in FAI Cup final history as he came in from the left to curl the ball into the top corner over the head of Bohs keeper Dermot O’Neill. Rovers held out for the remainder of the game and in the 55th year of their existence finally had their hands on the FAI Cup. It was fitting that long-serving Sligo man Tony Fagan who holds the club record for most appearances was the man to lift the trophy aloft. 1994 – Who put the ball in the Derry net? The 1993-94 season was a historic one for Sligo Rovers with Willie McStay’s side winning an incredible treble the most notable of which was defying the odds to win the clubs second ever FAI Cup 11 years after the last. The team won promotion back to the top flight by winning the First Division while the First Division Shield was also won earlier in the season. The route to the final did not begin in spectacular fashion as non-league Glenmore Celtic came away from theShowgrounds with a 1-1 draw despite Declan Boyle scoring for Rovers. That meant a replay would be needed and Rovers advanced with a 2-1 win with goals from Scot Eddie Annandand Englishman Gerry Carr who would go on to play a central roles in the eventual victory. The next round put Rovers up against strong opposition in the shape of Premier Division side Cork City that would finish the league as runners-up that season. However it was Rovers who came out on top on a wet night under the newly installed floodlights in theShowgrounds with goals from centre-back and captain Gavin Dykes and another of McStay’s British imports RiccardoGabbiadini giving a 2-0 victory. 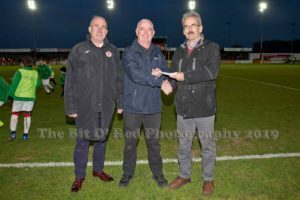 That meant Rovers would face familiar foes in the quarter-finals as Cobh Ramblers, by now a Premier Division side, were drawn to meet Rovers in the Showgrounds. It was another tight affair but this time no replays would be needed as Ger Houlahan scored the only goal of the game to put Rovers into a first FAI Cup semi-final since 1987. 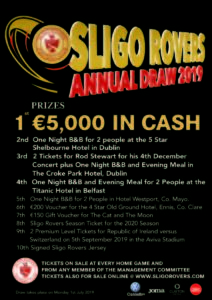 The semi-final would be played in the Showgrounds and again Rovers would have to overcome a Premier Division outfit to make the final as Limerick were the visitors. After the game was originally postponed due to the weather, Rovers eventually made their way to the final and again by a single goal with Eddie Annand, top scorer that year with 17 goals, proving the hero on this occasion. 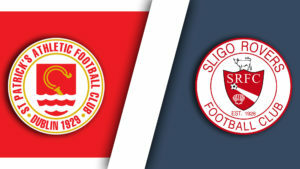 The wait for the final would be a long one as due to the large crowd wishing to attend the final between two well supported teams, Sligo Rovers and Derry City, the game was fixed for Lansdowne Road which would not be available until May 15thover a month after the semi-final had been played. As with Rovers last success it was another wet day for Rovers first visit to the venue but a large crowd still made their way. They were to see Derry make the better start as they hit the post after only six minutes with keeper Mark McLean being called upon to make some important saves. However the game remained scoreless until the 72nd minute when Eddie Annandwon a corner on the left. He took himself and found the head of Gerry Carr who rose above all others in the box to head the ball into the net. Derry pressed forward but still couldn’t find a way past McLean and the final whistle blew to signal that Rovers had won the FAI Cup for the second time. It was left to another local, this time Gavin Dykes, to raise the trophy in front of a crowd of jubilant Rovers fans. 2010 proved to be the most successful cup year in Rovers history with both the FAI Cup and the League Cup won ending 16 and 12 year waits respectively. The FAI Cup win was particularly sweet following the heart-breaking loss to Sporting Fingal in the previous years final with the Dublinside scoring two late goals to come from behind and beat Rovers. The first round draw pitted Rovers against First Division Athlone Town who proved tough opposition to crack with John Dillon’s solitary goal putting Rovers through at theShowgrounds. The next round saw Rovers drawn away from home and again against First Division opposition in local rivals Finn Harps. Another tight encounter was settled early on by a penalty from full-back Alan Keane with Rovers keeping Harps at bay for the remainder of the game. Another First Division side Monaghan United made the journey to the Showgrounds for the quarter-finals just a week before the sides would meet in the League Cup final but on this occasion it was more comfortable as Rovers ran out 3-0 winners. The scoring was opened again by an Alan Keane penalty which was added to in the second half by goals fromRomuald Boco, who had recently returned from a spell in England, and late-on with young local Mark McGoldrickscoring his first Rovers goal. The semi-final draw pitted Rovers against tougher opponents in the shape of Bohemians who were challenging for the league title at the time. But the trip to Dalymount Park would see Rovers put in one of their finest displays as they dominated the Dublin side by much more than the 1-0 scoreline suggests in a game that many seen as confirming Rovers arrival as a force to be reckoned with in Irish football. Despite playing some of their best trademark passing football and creating many chances it wasn’t until the 75th minute that Rovers final broke down their opponents with Gavin Peers heading in forcefully from a Richie Ryan corner. That sent Rovers through to the first FAI Cup final to be played at the newly refurbished Lansdowne Road stadium now known as the Aviva Stadium. The opponents on that day would be league champions Shamrock Rovers who had twice previously denied Rovers in Cup finals. A massive crowd of 36,101 were in attendance to see the sides battle it out, the highest attendance for 32 years. It was a very closely fought encounter with neither sides ever really having the upper hand and in the end the deadlock remained unbroken after 120 minutes of play meaning penalties would be needed to decide the game. Ex-Shamrock Rovers forward Eoin Doyle was the first man to step up and he converted confidently in front of the Rovers end of the ground. First to take for Shams was talisman Gary Twigg but he seen his penalty saved by Ballinrobe’s Ciaran Kelly who has only recently got his place in the team following an injury to regular keeper Richard Brush. He would put in an inspired performance saving the next two penalties as well from Pat Flynn and then Chris Turner. However the shoot-out remained in the balance as Rovers had also missed their second through regular take Alan Keane and their third through ConorO’Grady. Next to take was Gary McCabe and he placed the penalty into the top corner of the goals meaning that Shams had to score their next penalty to keep their hopes alive. But once again Kelly pulled off a wonderful save to deny PatrickKavanagh to seal the shoot-out and the Cup for Rovers sparking massive celebrations among the Rovers fans as the cup was lifted for the third time. Rovers confirmed their status as cup kings of the time by retaining the FAI Cup won in 2010 the following year and making their first successful defence of a trophy. Theeurophia surrounding the win over Shamrock Rovers had barely died down when Rovers began the 2011 campaign with a home tie against non-league side Pike Rovers. It looked like a repeat win would not be on the cards as the Limerick side stunned the Showgrounds by taking a lead on the hour but that just proved to spur Rovers into action with Jason McGuinnessequalising shortly afterwards. He followed that up with another goal shortly after which was added to by RaffaeleCretaro with Rovers eventually winning 3-2. The next round would also provide difficulty for Rovers despite being drawn at home to First Division Monaghan United who had been beaten in the previous year’s campaign. However RoddyCollins’ team frustrated Rovers to come away with a scoreless draw and force a replay in Monaghan. That game however would prove a much more straight-forward affair with Rovers running out comfortable 4-0 winners. That result meant a repeat of the 2010 final would take place with Shamrock Rovers coming to the Showgrounds for the quarter-final. Just as with that final the league-leading Dublin side would be denied with Eoin Doyle once again being the thorn in the side of his old club by scoring the winning goal in the first half. That meant that a repeat of the previous year’s semi-final would take place as Rovers were once again drawn away to Bohemians in their third consecutive FAI Cup semi-final. This time however Rovers would go into the game as favourites but the game proved to be a very tight affair and it wasn’t until the 73rd that Jason McGuinness produced the only goal of the game to knock out his former club and send Rovers back to the Aviva. As with the 2009 final Rovers were faced with First Division opposition in the shape of Shelbourne who were making their first cup final appearance in 11 years. Again a large crowd made their way to Dublin in the hope of seeing Rovers lift the cup but again it wouldn’t be achieved without a struggle. 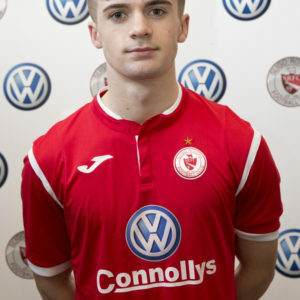 It was Shelbourne who took the lead on the half hour as Phillip Hughes looped the ball in over Brendan Clarke in the Rovers goals and they would hold that lead to half-time despite being reduced to ten men. But Rovers came out strong in the second half and left-back Iarfhlaith Davoren picked the perfect moment to score his first Rovers goal with a long-range effort two minutes into the half. Despite both sides making chances to win the game in both normal and extra time neither could find a second goal so penalties would be required to decide the final again. As the penalties loomed in the final minutes of extra-time Paul Cook made the decision to replace keeper Brendan Clarke with the hero of the previous year’s finalCiaran Kelly. Once again Eoin Doyle stepped up first and put Rovers into the lead and despite Kelly being beaten by Shelsfirst penalty he would find the midas touch again and save the next two. This time Rovers penalty takers were clinical with captain Richie Ryan in his last game for the club scoring with Alan Keane making up for last year’s miss to make it 3-1. This left it for Tubbercurry’s Raffaele Cretaro to take the final penalty which he put home to ensure the Cup would remain in Sligo for another year. The 2012 season will go down as one of the most famous seasons in Sligo Rovers history as Rovers won our third ever league title ending a long 35 year wait for the prize. Despite good recent seasons with Rovers finishing 3rd in 2010 and 2nd, the best placing since 1977, in 2011 the success would not have been predicted by many on the eve of the season as the manager who had guided to the club to those finishes, as well as two FAI Cups and one League Cup, Paul Cook had just left the club to join Accrington Stanley. His successor Ian Baraclough, a 41 year-old whose only previous management experience was with English Championship side Scunthorpe United, inherited a strong squad which had been added to by Cook with experienced players like Gary Rogers, Ross Gaynor, Romuald Boco, Danny North and Mark Quigley as well as some younger players like Pascal Millien, Lee Lynch and David Cawley. 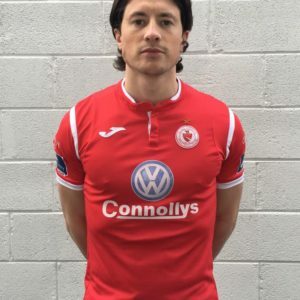 With only two days preparation for the first game of the season away to newly promoted Shelbourne there was little surprise when Shels took the league with Rovers having gone down to ten men after the sending off of Mark Quigley. However Jason McGuinness popped up with an injury-time equalizer to earn a point and show the type of character and belief in the squad which would be a major factor in Rovers delivering the coveted league title. McGuinness was again the hero in similar fashion in Rovers first home game of the season and this time his late goal brought all three points. Rovers maintained this good start with a further four wins in a row over Bohs, Monaghan, Dundalk and Bray with the win against Bray on Good Friday putting Rovers to the top of the table. They would hold onto that position for the remainder of the season. Despite home draws with Derry and St. Pats there were away wins in Cork and Drogheda to maintain Rovers flying start ahead of what was billed as the biggest test so far with the visit of defending champions Shamrock Rovers to the Showgrounds. The game, played on a sunny Saturday afternoon, produced one of Rovers finest performances as the Dublin side were disposed of by a comfortable 3-0 margin and opened up a six point lead at the top. The man who scored two of the goals that day was Danny North who had been signed from St.Pats. He was having a sensational start to his Rovers career scoring 13 goals in his first 12 league games making him the country’s top scorer. Although that win was followed up with another over Shelbourne with the same scoreline Rovers tasted defeat for this first time in the league under Baraclough away to lowly UCD who ran out 1-0 winners over a Rovers side missing the influential duo of Gavin Peers and Joseph Ndo in what was almost certainly the worst performance of the season. Results following that game were mixed with Rovers drawing four of the next six and also suffering early exits from the FAI Cup at home to Monaghan and from Europe at the hands of Slovakians Spartak Trnava. 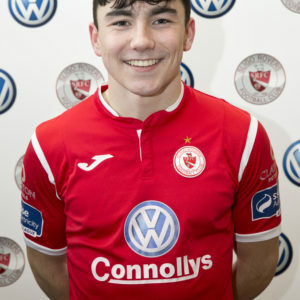 One positive to come from one of the draws was in the 2-2 draw with Cork City with Mark Quigley coming off the bench to score twice and save a point. This goalscoring form would prove crucial as main marksman Danny North suffered a season-ending injury just days later as Rovers bowed out of Europe. That European game, drawn 1-1, also seen a major addition to the title push with the opening of the new Volkswagen Bank End at the old Railway End of the ground giving the famous venue three seated stands and demonstrating that the club was progressing off the pitch as well as on it. 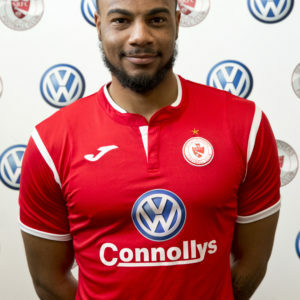 Extra depth was also added during the transfer window with Jeff Henderson, Ryan Connolly, Seamus Conneely and Liam Buchanan brought in. A major test for Rovers title credentials came with the visit of second placed Drgheda United who were looking to take top spot with a victory. However Rovers rose to the occasion again with a dominant display producing a 4-1 victory. Mark Quigley was on the scoresheet that day which began a run of him scoring in six successive games including in the next game against in-form Shamrock Rovers in Tallaght with a spectacular strike earning a 1-1 draw. That was followed up with a run of four consecutive wins which put the title within sight for Rovers creating a great buzz of excitement around the Showgrounds. 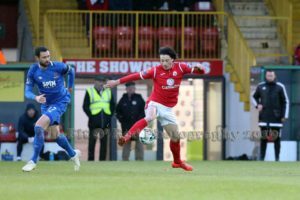 After Rovers returned from Cork with a point following a scoreless draw it meant that the league title could finally be secured with a win against second place St. Pats in the Showgrounds on Saturday. The events of that afternoon will live long in the memory of every Sligo Rovers fan. Demand for tickets meant that extra facilities had to be provided to allow the crowd of around 6,000 in to witness the game of the season. Raffaele Cretaro got Rovers off to the perfect start with a spectacular solo effort followed up quickly by a typical poachers finish to put Rovers into a 2-0 after only 24 minutes and convince most in the crowd that their dreams were about to be realised as Rovers held that lead through to half-time. However St. Pats were to come out strongly in the second half with Christy Fagan halving the deficit before Chris Forrester’s equalized with a deflected effort to deflate the Showgroundson the hour. However Rovers remained undaunted and fought their way back on top and earned a penalty with just two minutes remaining. Up stepped Mark Quigley and with his customary poise he stroked the ball past a static Barry Murphy in goals to send the crowd into mass hysteria. The remaining minutes eventually passed and the final whistle confirmed that Rovers were league champions. It also meant that Rovers had gone through the first 28 games of the season with just one defeat. However that record would not be maintained as Rovers lost in Drogheda the following week to a late goal and again the next week on the final day against Shamrock Rovers in the Showgrounds. That would not dampen the celebratory mood however as a massive crowd flocked to see captain Danny Ventre lift the league trophy to the joy of all in attendance.